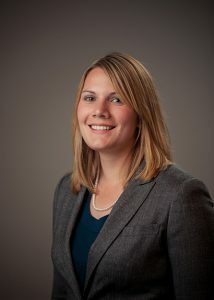 Kelly Eberle brings a range of legal services to Grim, Biehn & Thatcher. She concentrates her practice in civil and commercial litigation, including creditor’s rights, real estate law, and employment law and debt collection. Prior to joining the firm, Kelly served as judicial law clerk for the Honorable Wallace H. Bateman, Jr., of the Bucks County Court of Common Pleas.